The US Open starts today at Pinehurst, playing the fabled #2 course, the quintessential Donald Ross design. As with the World Cup, also starting today, Olympians have played in the US Open but its been quite awhile since they have done so. Golf was on the Olympic Program in 1900 and 1904, so this would make some sense. Olympic golfers only competed in the US Open at five tournaments – 1904, 1906, 1911, 1914, and 1919. The 1904 tournament was held at Glen View Club, in the aptly named town of Golf, Illinois. H. Chandler Egan, who won the silver medal in the 1904 Olympics, and was 1904-05 US Amateur Champion, played and finished tied for 20th. Also playing that year were 1904 Olympians Bob Hunter (=23), Ken Edwards (=26), Mason Phelps (=43), Walter Egan, Chandler’s brother who finished 46th, and Nat Moore, who missed the first ever cut at the US Open. Walter Egan was the 1903 Western Amateur Champion and had been runner-up in the US Amateur in 1901. Phelps was the 1908 and 1910 Western Amateur Champion. 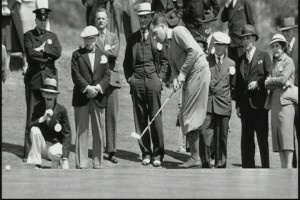 In 1906 with the Open at Onwentsia Club in Lake Forest, Illinois, Chandler Egan played again, finishing tied for 8th, the best ever finish in a US Open by an Olympian. He was joined again by Hunter, who placed =39th. Hunter would later win the 1910 NCAA Championship while a student at Yale and in 1911 lost in the finals of the North & South Amateur to Chick Evans. The third Olympian playing in 1906 was Warren Wood, who finished 31st. Wood had just won the 1906 North & South Amateur, and would later win the 1913 Western Amateur and lose in the finals of the 1910 US Amateur. Since many of the 1904 Olympians were from the Midwest, and travel was much more difficult in that era, the next US Open at which Olympians competed was in 1911, at Chicago Golf Club in Wheaton, lllinois. Chandler Egan competed again, the only Olympian to compete in 3 US Opens, this time finishing =23. Mason Phelps also returned, finishing in a tie for 23rd. A new Olympian made an appearance, with Daniel Edward “Ned” Sawyer tieing for 18th. In 1914 the Open again returned to the Midwest, this time held at Midlothian Country Club in Blue Island, Illinois. Warren Wood and Ken Edwards returned, finishing =22 and =33 respectively. The final appearance by an Olympian at the US Open came in 1919 at Brae Burn Country Club in West Newton, Massachusetts, the only time an Olympian competed at a US Open not held in Illinois. This was another appearance by Ned Sawyer, who tied for 43rd. Sawyer was the 1906 Western Amateur Champion and had been runner-up in the 1905 US Amateur to Chandler Egan. And thus it ended, although when golf returns to the Olympic Program in 2016 (assuming the course is finished), this list will obviously enlarge greatly. Nobody from the 1900 Olympic golf tournament ever competed at a US Open, and the 1904 gold medalist, Canadian George Lyon, also never did, although he was runner-up in the 1906 US Amateur. 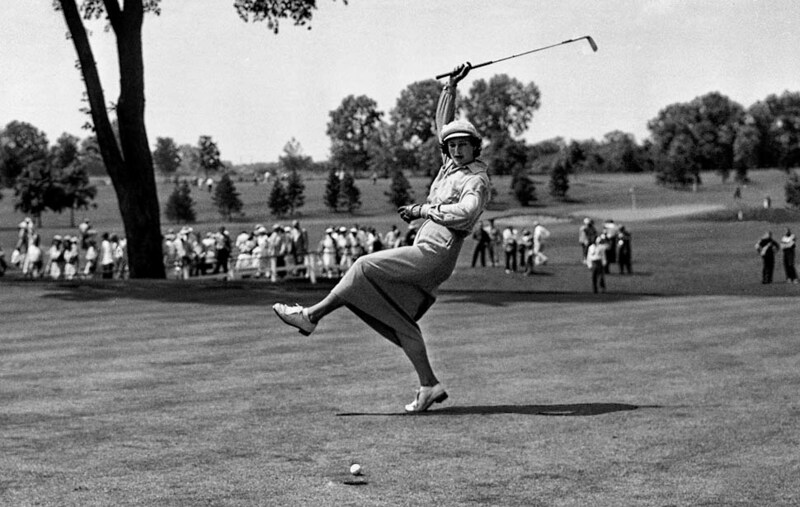 If we include the US Women’s Open, there is one very famous name to add, that of Babe Didrikson Zaharias. 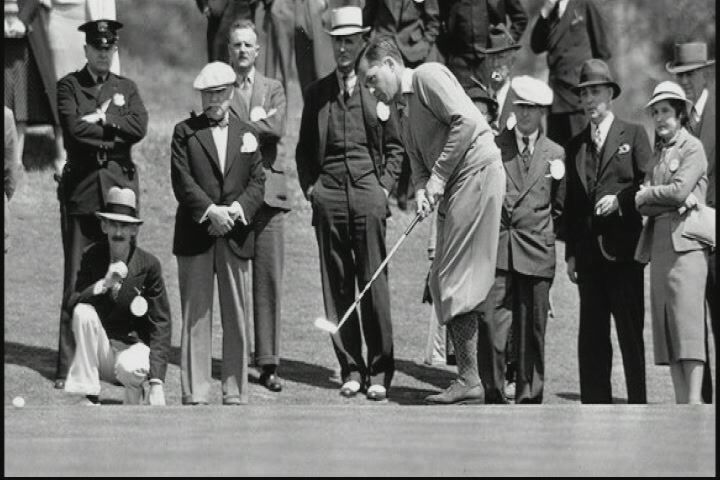 The Babe won 2 gold medals and a silver medal in track & field at the 1932 Olympics and then turned to professional golf, becoming the first real star of the LPGA Tour. 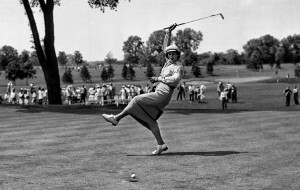 She won 41 tournaments on the LPGA Tour, including 10 major championships, of which 3 were victories in the US Women’s Open – in 1948, 1950, and dramatically, her final major championship in 1954 at Salem Country Club in Peabody, Massachusetts, when she competed despite recently recovering from surgery for colon cancer, and while wearing a colostomy bag. The disease would take her life two years later. Another great female golfer / Olympian never had a chance to compete in the US Women’s Open, that being Lottie Dod. Dod rivals Didrikson Zaharias as the greatest ever all-around female athlete. She was a silver medalist in archery at the 1908 Olympics, was a five-time singles champion at Wimbledon in the 19th century, and won the British Ladies’ Amateur Golf Championship in 1904 at Troon. There was no US Women’s Open in that era, which started in 1946, but Dod travelled to America and competed in the 1905 US Women’s Amateur, unfortunately losing in the first round.